ap·a·thet·ic [àpp? théttik] adjective indifferent and unenergetic: not taking any interest in anything, or not bothering to do anything [Mid-18th century. 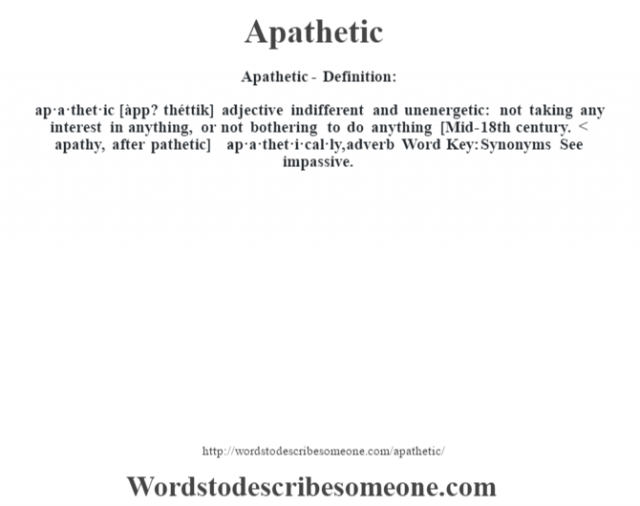 < apathy, after pathetic] -ap·a·thet·i·cal·ly, adverb Word Key: Synonyms See impassive.